Raised in Pennsylvania, Thandi views the world of her mother’s childhood in Johannesburg as both impossibly distant and ever present. She is an outsider wherever she goes, caught between being black and white, American and not. She tries to connect these dislocated pieces of her life, and as her mother succumbs to cancer, Thandi searches for an anchor—someone, or something, to love. In arresting and unsettling prose, we watch Thandi’s life unfold, from losing her mother and learning to live without the person who has most profoundly shaped her existence, to her own encounters with romance and unexpected motherhood. 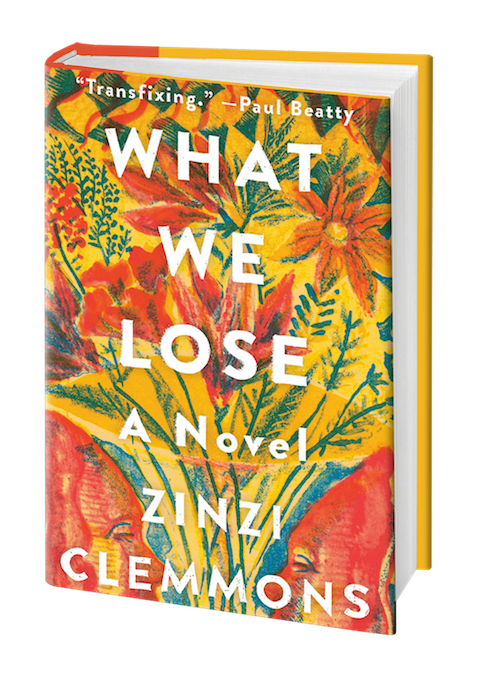 Through exquisite and emotional vignettes, Clemmons creates a stunning portrayal of what it means to choose to live, after loss. An elegiac distillation, at once intellectual and visceral, of a young woman’s understanding of absence and identity that spans continents and decades, What We Lose heralds the arrival of a virtuosic new voice in fiction. The Harlem Renaissance writer's innovative and groundbreaking novel depicting African American life in the South and North. Jean Toomer's Cane is one of the most significant works to come out of the Harlem Renaissance, and is considered to be a masterpiece in American modernist literature because of its distinct structure and style. First published in 1923 and told through a series of vignettes, Cane uses poetry, prose, and play-like dialogue to create a window into the varied lives of African Americans living in the rural South and urban North during a time when Jim Crow laws pervaded and racism reigned. While critically acclaimed and known today as a pioneering text of the Harlem Renaissance, the book did not gain as much popularity as other works written during the period. Fellow Harlem Renaissance writer Langston Hughes believed Cane's lack of a wider readership was because it didn't reinforce the stereotypes often associated with African Americans during the time, but portrayed them in an accurate and entirely human way, breaking the mold and laying the groundwork for how African Americans are depicted in literature. For the first time in Penguin Classics, this edition of Cane features a new introduction, suggestions for further reading, and notes by scholar George Hutchinson, and National Book Award Foundation 5 Under 35 novelist Zinzi Clemmons contributes a foreword.